Next week sees OMGs latest photoshoot coming together. The team have been busy with moodboards, researching, practising, working with the models and discussing the hair, makeup, nails and clothes. I will post some pics as soon as I have them. Also next week we have a new beauty therapist joining us, Rachel Harries, she has over 7 years experience and has a really nice friendly caring personality. We are also opening our 5th treatment room, and its looking good! I think i might need a bit of a rest next Sunday when the weeks over! Some years ago there was the resurgence of nail art - you know, they typical flowers on the toe, or the odd gem or two. But nowadays its level of sophistication and technology has gone stratospheric! I love experimenting with Minx nails - a foil based nail covering that comes in many different patterns. Not just pictures of Santa, but snakeskin patterns, metallic holograms, you can even get personalised Minx, with pictures of your favourite music artist or family member. Lady Ga Ga, Katy Perry are all great fans. The picture is of Minx on my toes. I`m into the tenth day of wearing it now and its still looking great! I have tried alternative competitors who are now on the market, eg Trendy Nail wraps and N`Applique, but personally I find them not so effective - they are more cumbersome to work with, look less sophistcated, are thicker which makes it harder to get the stretch and pull you need. And in my experience Minx lasts the best. I have moved away from using an infra red lamp to heat the foils, and use OPIS mini nail hairdryers, which are fab! Hot on the Hollywood scene is the snakeskin manicure/pedicure, which after applying a thick coloured layer of gel, you apply real snakeskin and then seal with a topcoat. It takes over two hours to do and in Holllywood, costs £150. Is the UK ready for this, Im not so sure. No snakes are hurt in this process as its the natural shedding of the skin that is used, but personally I feel a bit squeamish about using it! I`ve also got some magnetic nail polish on its way and will post some examples when I do it next week. You paint the nail with a special varnish and then use this little magnetic to get very unusual shapes in the varnish - something quite different to crackle, shatter or nail art. So watch this space! 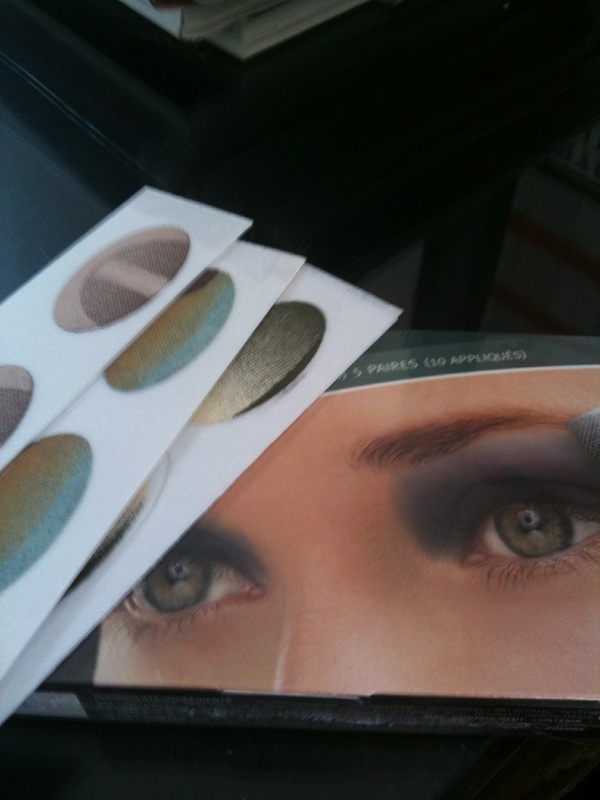 I`ve been sent some ColourOn eyeshadow appliques. With names such as Barbados, Desert Sands and Swept Away, the only way I can describe them is like little stickers of eyeshadow that go onto the eyelid and then I guess, transfer onto the eye. Place, smooth, peel, blend and set is the suggested process and I cant wait to try them. I am a makeupartist and I simply cant believe thatthis can replace a well applied smoky eye or great party or bridal eyes, but we will see! I will post the results as soon as I can! Great news for the company! We have been so busy at the salon lately that we have decided to take on some more new employees. We are quite fussy about who works here, as its not just about skills, but attitude as well. So this week, we recruited Cianna, a Level 3 NVQ hairdresser. Shes already worked in a salon before, so already brings lots of knowledge and experience. So we will just bring her on, train her the OMG way and set her off on her hairdressing career with us. In her first week she was already applying tints and did a prom put up, so all good news! Next is Jodie! Shes our new beauty therapist. A very confident young woman who has worked on a spa for nearly 5 years. Her massages and body treatments are excellent. In her first week shes already passed her spray tanning exam and has been really busy! And finally is Aimee, our new senior stylist hairdresser. Shes been hairdressing for over 9 years and nothing panics her! Shes had a really busy week too! Its pretty hard our jobs, standing on your feet all day, and that can be quite tiring, so I know they are looking forward to a lazy sunday lie in!